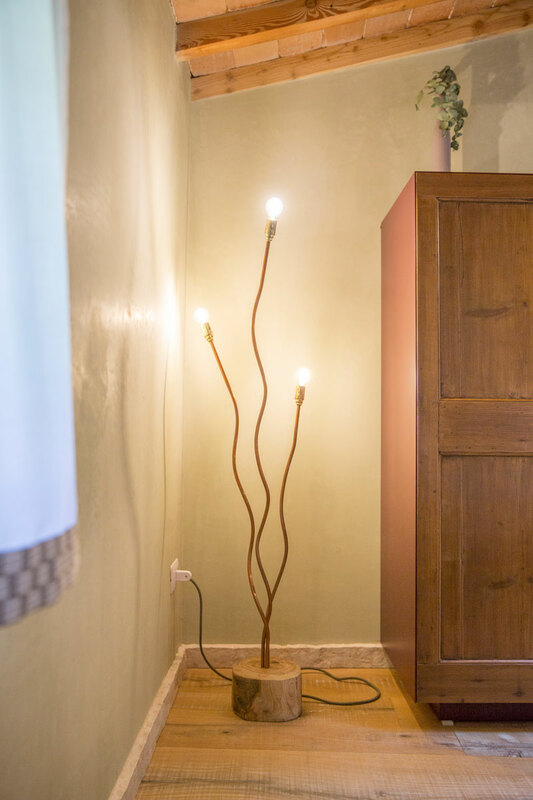 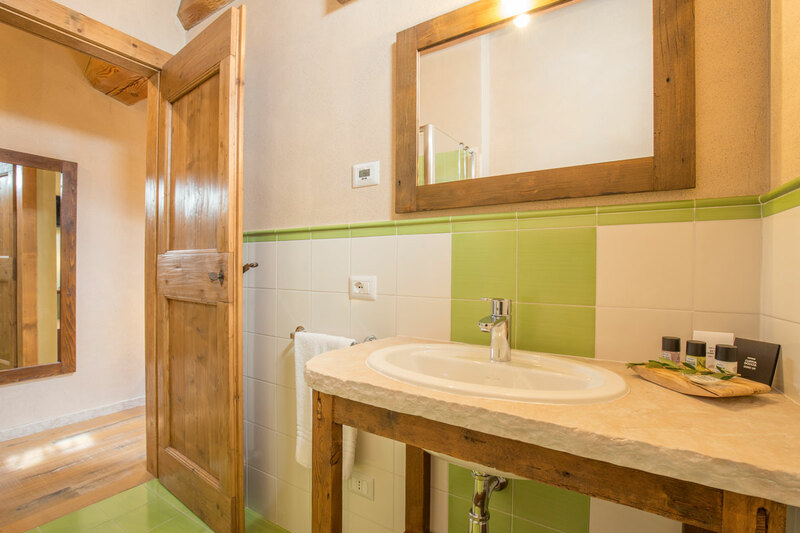 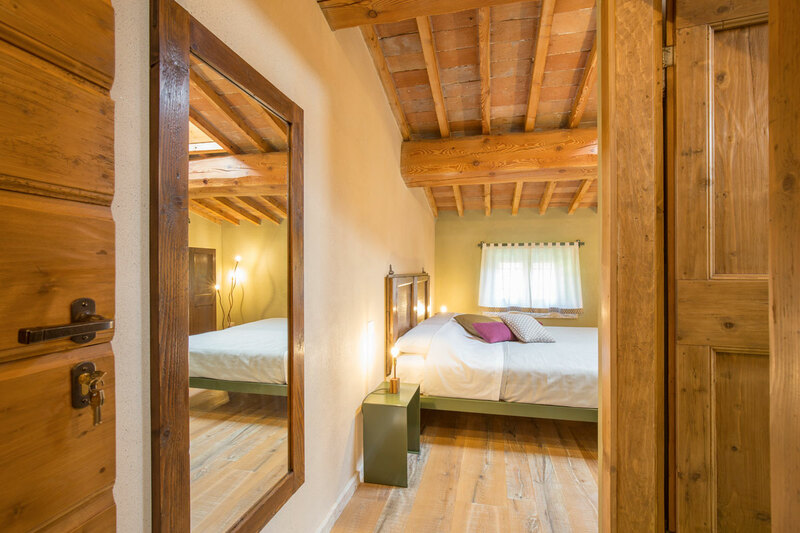 Olivo is a double or twin room with private bathroom. 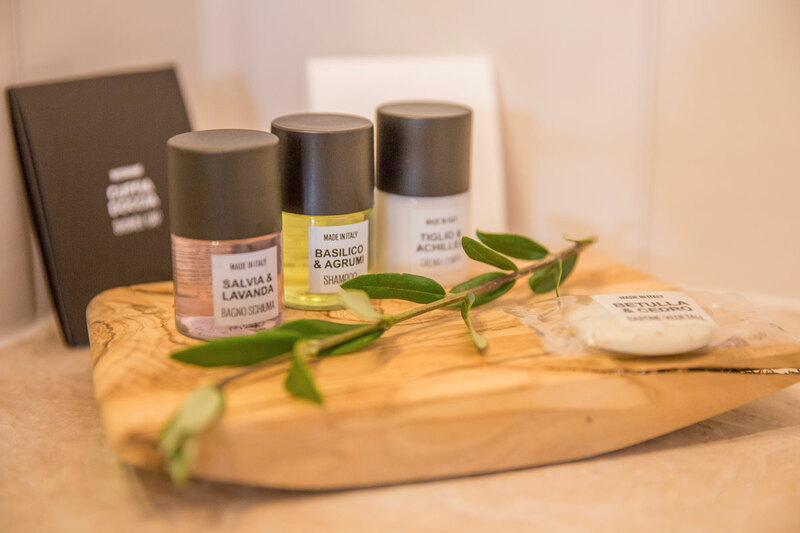 The setting chosen for Olivo is inspired by the plant that has been devoted to it. 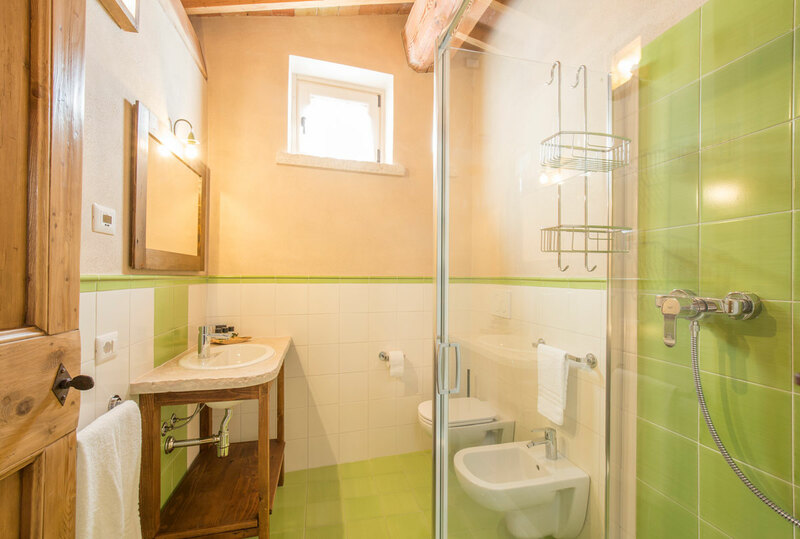 The colors and the colors of the room and in the furnishings have been researched with the colors and shades of the olive branch, with the green and the gray, and its fruit, the olive. 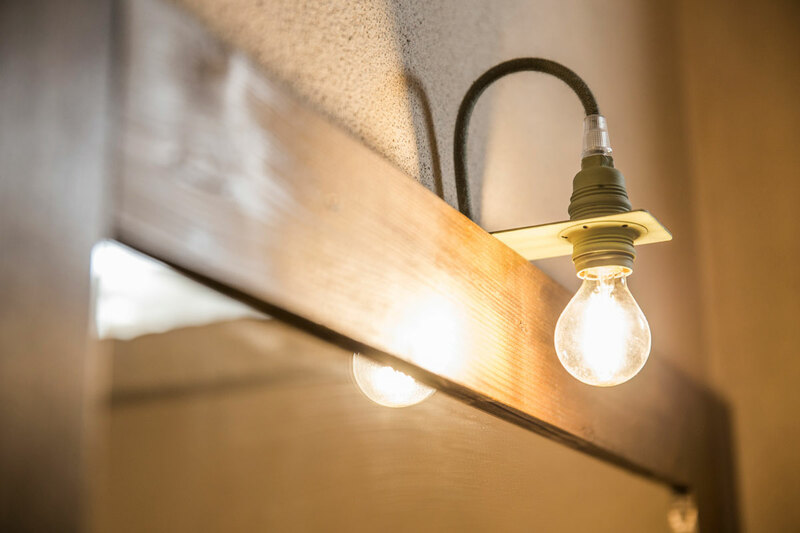 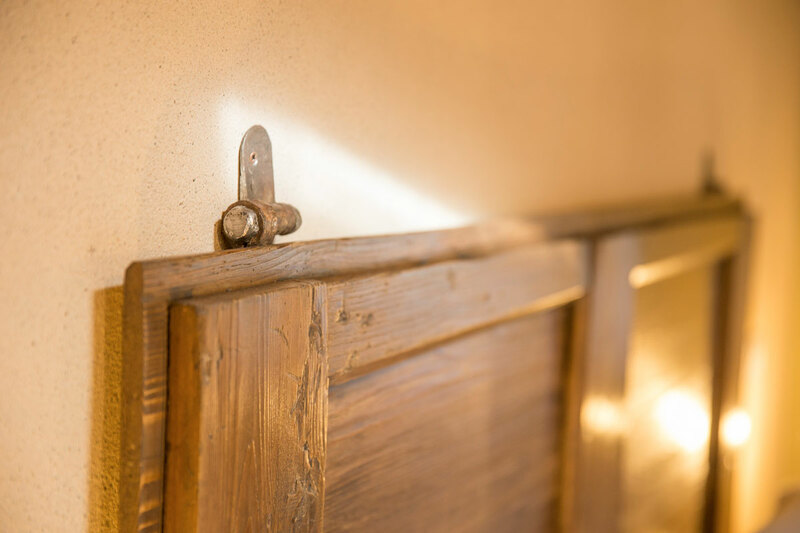 The furniture was made with old restored wooden doors, combined with colored iron elements. 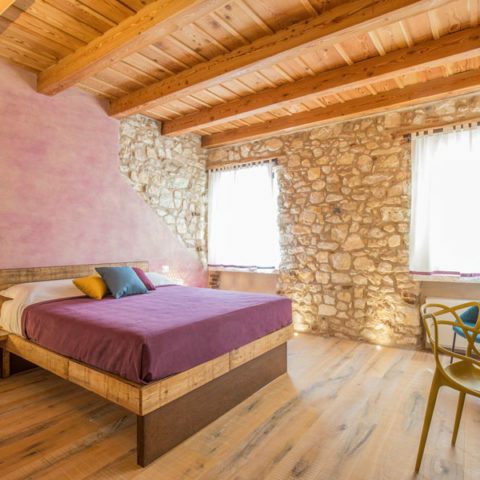 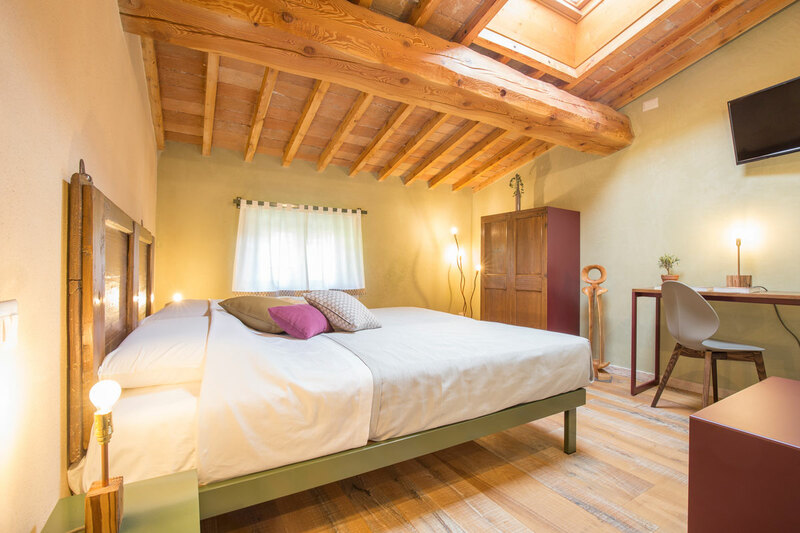 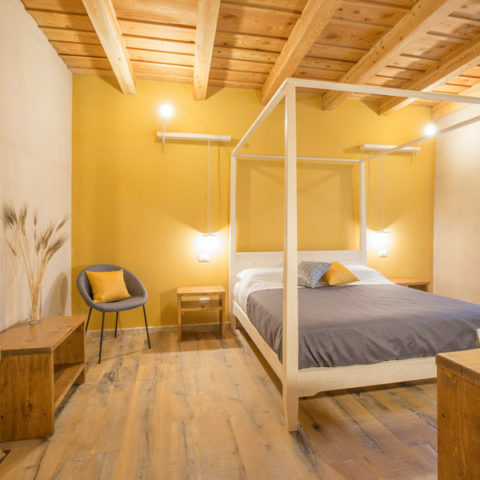 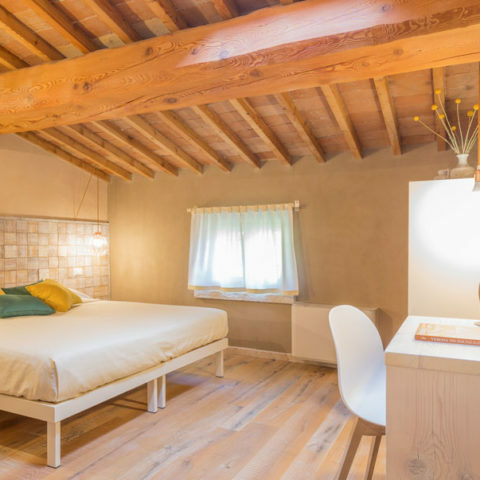 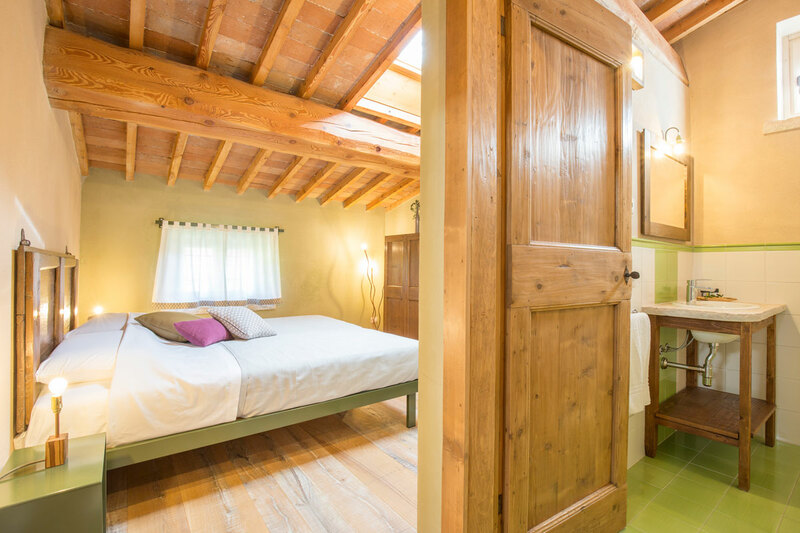 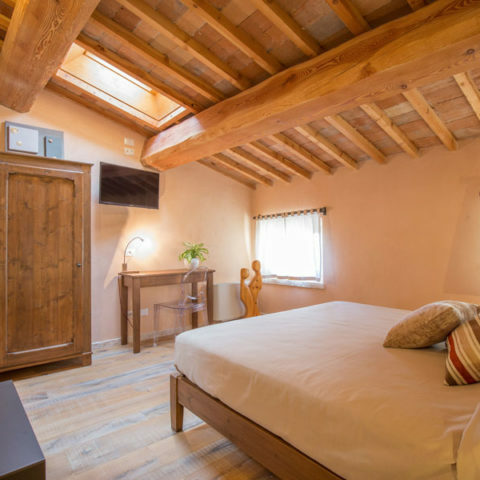 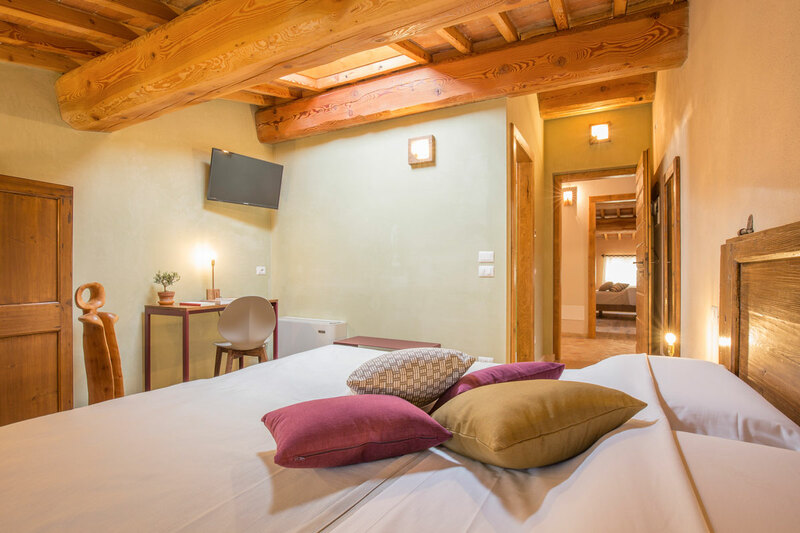 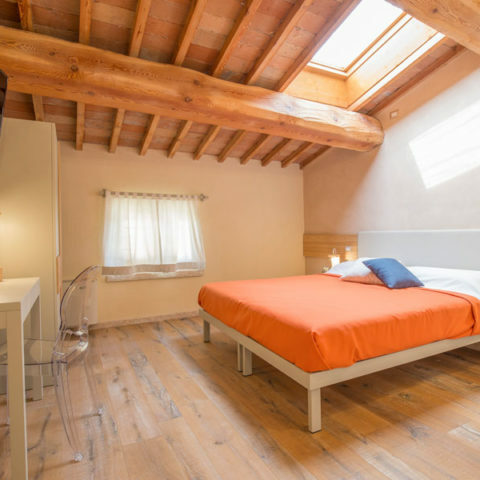 The room is characterized by a ceiling with exposed wooden beams and terracotta tiles.